While Collins did not say how she would vote on his confirmation, her view that the FBI report was legitimate is a signal that she could vote to support Kavanaugh’s nomination. 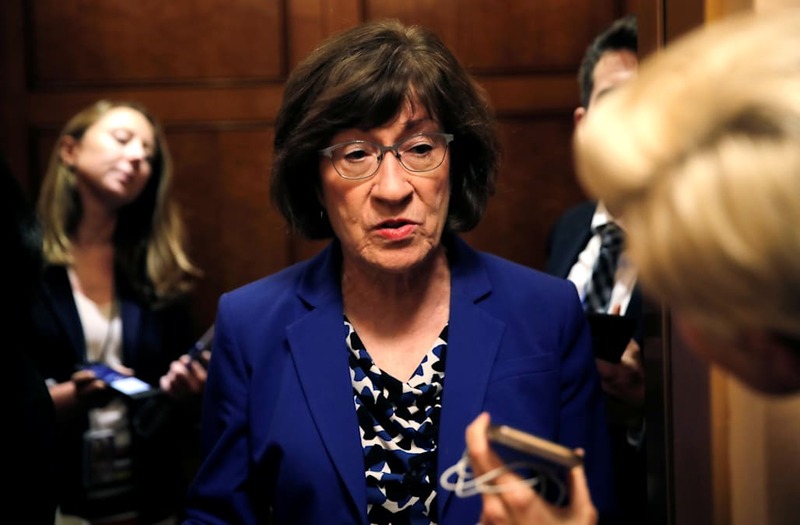 Even before the FBI probe, Collins suggested she was leaning toward confirmation, saying she did not believe he would overturn Roe v. Wade, the landmark Supreme Court case guaranteeing women the right to an abortion. Collins is one of three Republican senators who hold Kavanaugh’s fate in their hands. Sens. Jeff Flake (R-Ariz.) and Lisa Murkowski (R-Alaska) had demanded the FBI probe in the first place before they would agree to vote on Kavanuagh’s final confirmation vote. Flake, however, said he planned to vote for Kavanaugh before he was confronted by two sexual assault survivors on Capitol Hill. Later on Friday, he changed his mind to demand the FBI probe. With Republican lawmakers claiming the FBI’s investigation didn’t corroborate the sexual assault allegations, it’s possible Flake could feel comfortable and vote to confirm Kavanaugh. “There is no new corroboration,” of assault allegations, Flake told reporters after reviewing the FBI investigation. Sen. Jeff Flake says “there is no new corroboration” of Christine Blasey Ford’s allegations in the FBI report he just reviewed. If both Collins and Flake vote to confirm Kavanaugh, his nomination would succeed, with Vice President Mike Pence able to serve as the tie-breaking vote. Democrats on Thursday are saying that the FBI’s probe was limited — pointing to the fact that in their probe the bureau did not interview either Kavanaugh or Christine Blasey Ford, the Palo Alto University professor who first came forward to accuse the judge of assault. “It looks to be a product of an incomplete investigation that was limited, perhaps by the White House, I don’t know,” Sen. Dianne Feinstein (D-Calif.) said Thursday. “We did not agree that the White House should tie the FBI’s hands,” Feinstein continued. “It’s simply not credible to say that public testimony in last week’s hearing was a substitute for” FBI interviews. A vote to end debate on Kavanaugh’s nomination is scheduled for Friday, which would set up a final vote on his nomination sometime on Saturday.